Previously on Yes, I Know: A through E; F through J.
It’s a setting we’re used to in Japanese movies: a time of civil war. A ragged, wandering troop of samurai, thirsty and starving, come upon a remote farmhouse and two women. Men being the animals that they are, the women are raped and killed. The cooking fire runs amok, and the house is consumed, leaving only one survivor: the black cat. Soon after, at the nearby Rajomon Gate, samurai are being lured to an equally remote house where two eerily familiar women entertain them, and the men’s bodies are found the next day, their throats torn out. The man of the farmhouse who was missing at the beginning was conscripted to fight in the wars; he returns a hero, and is made a samurai. His first task: to find whatever is killing men in that grove and destroy it. In point of fact, the two are the spirits of his missing wife and mother, who had made pacts with dark gods to kill samurai and drink their blood until the end of time, or the end of samurai, whichever comes first. Thus an old Japanese folk tale is complicated by familial ties, as man and wife, desperate to see each other, take to nightly trysts in an attempt to regain what they lost in the war. This causes the wife to renege on her pact, and she is sent to Hell – willingly, for the week she is allowed to spend with her husband. 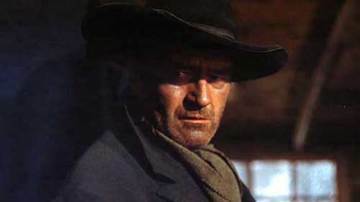 Then the man must face down his mother, or pay the consequences of failure. Kaneto Shindo has a remarkably varied filmography, but he is likely best known in the states for Onibaba, another tale of ghostly skullduggery during this tumultuous era. Shindo’s family was agrarian, so it’s small wonder that he always sides with the farmers in his period pieces. His samurai are vile dickweeds, make no mistake, and the mere fact that the protagonist’s inclusion into this class places him in mortal danger from his lost family is no mere plot twist: it is subversive in the extreme, given the revered status of samurai in most Japanese movies. 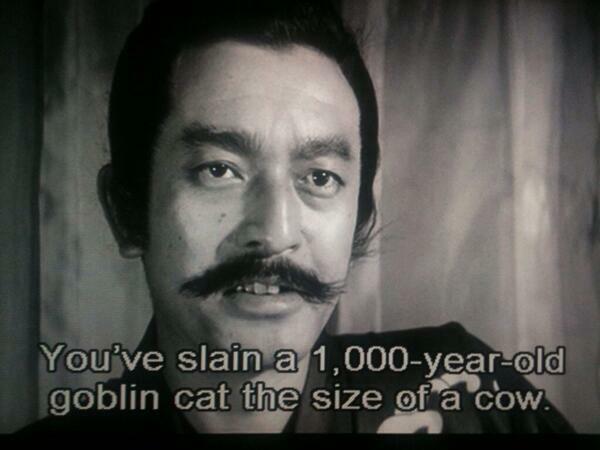 Kuroneko also includes the line, “You’ve slain a 1000 year-old goblin cat the size of a cow,” which I am going to try to work into polite conversation as often as possible. 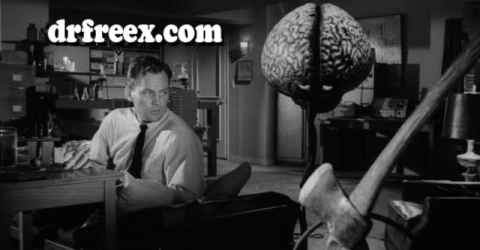 In which we discover just how educational exercises like this can be. 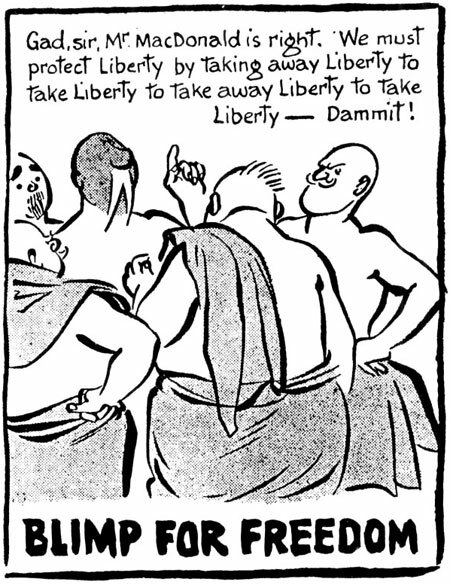 These days, he would be re-cast as a member of the Tea Party. He was always in a Turkish bath, towel-bedecked, and red-faced. 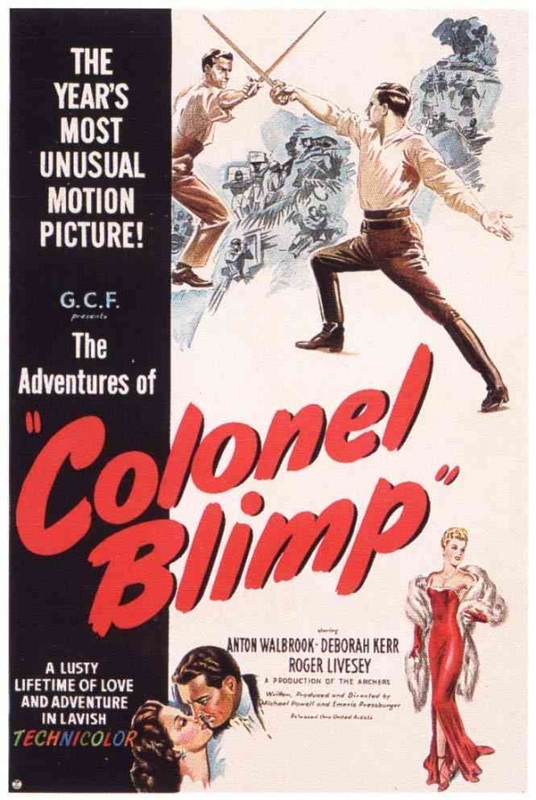 Which explains the opening sequence, and our introduction to the character, who is never, ever referred to as “Colonel Blimp”. Which is good, because none of that prepares you for the genial, affecting, downright human story that will unwind before you in the next two hours and forty-five minutes. Three hours that will flash by like three minutes. The surrogate for Blimp is Clive Candy (Roger Livesey), a decorated military man whose story begins in the Boer War. 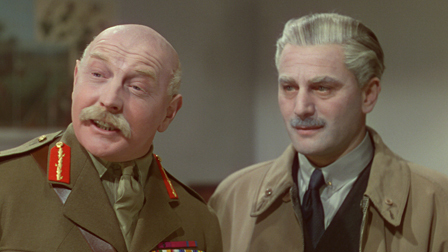 Through a determination to do the right thing, he almost creates an international incident and has to fight a duel in Germany; both participants wind up scarred (Candy’s causing him to grow the trademark moustache), but also results in the friendship that will last his entire life, with the German officer chosen to represent their Army, Theo (Anton Walbrook, here far more sympathetic than his turn in The Red Shoes). 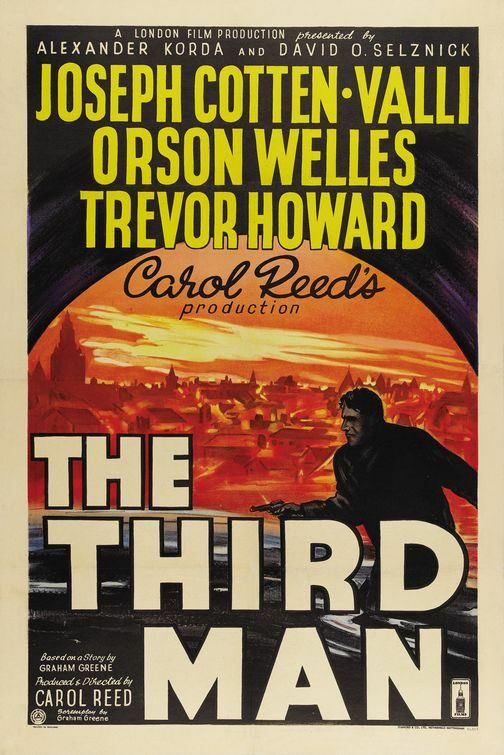 As the story progresses through World War I, Candy seeks out his embittered friend at a prisoner of war camp; Theo will also flee to England from Nazi Germany, only to find himself classed an Enemy Alien. 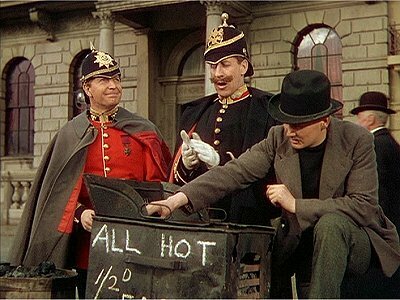 The further you dig into Colonel Blimp, the more complex it becomes; Candy’s relationship with Theo echoes the partnership between directors Michael Powell and Emeric Pressburger, who created some genuinely classic films as “The Archers”: A Matter of Life and Death, Black Narcissus, The Red Shoes. 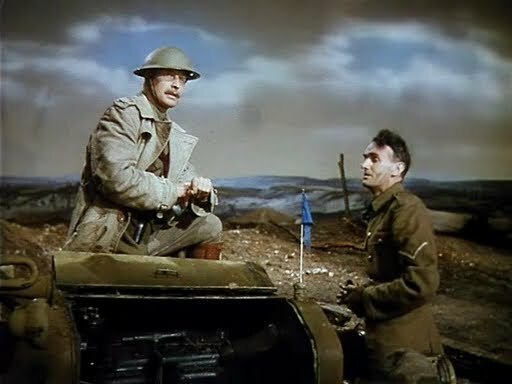 Despite working on many propaganda movies during the War Effort, Pressburger remained an Enemy Alien, required to adhere to a curfew and carry his “papers” with him at all time. 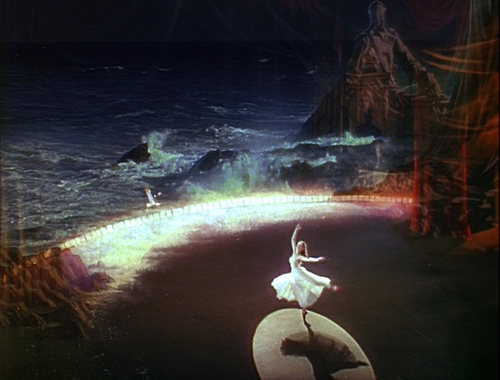 Theo has a very moving speech about this that you know came from Pressburger’s heart. and doubtless with his co-director’s urging and blessing. I haven’t even mentioned Deborah Kerr, who plays three separate roles as the women in Candy’s life (an amusing conceit commenting on Candy’s constantly surrounding himself with versions of his unrequited love, younger than himself). Kerr, only 20, is luminous in the three roles; she had her work cut out for her, sharing the screen with veterans like Livesey and Walbrook, and she rises to the challenge. 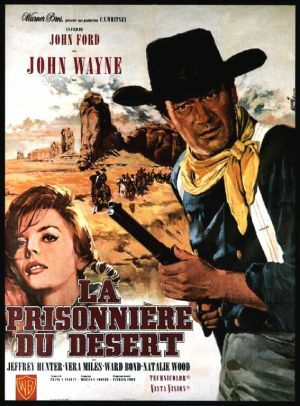 I find it incredible that this movie almost did not get made – Winston Churchill wanted it scotched completely. no cooperation was given by the Ministries of War or Information, which should have been the kiss of death. Yet, here it is, and thankfully so, as I find it the most quintessentially British movie I have ever seen. What some saw as a critique against a certain kind of patriot, I see as an ode to everything I love about Old Blighty (perhaps with a viewpoint just as jaundiced as its detractors): kindness, a belief in fair play, and just out-and-out decency. Candy admits he may be a bit of a laughable fool for believing in such things in modern times, but honestly – we could use a great many more fools like that. Kind of hard to leave wartime Europe behind, it seems. 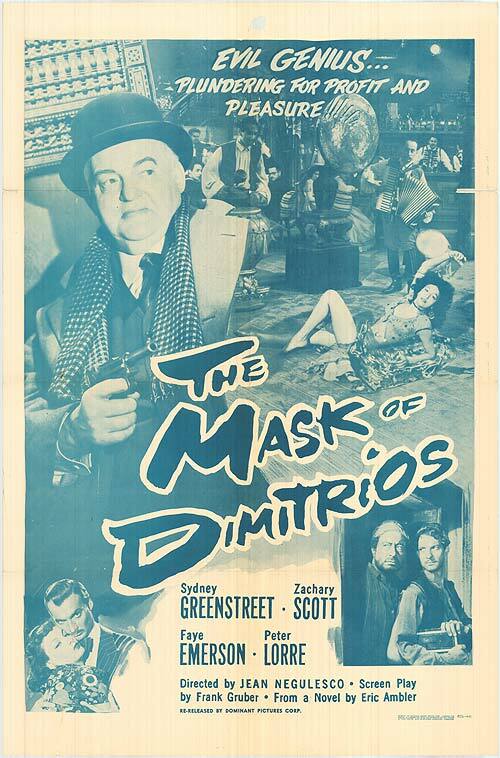 Except that Mask of Dimitrios, the fifth of eight movies in which Sidney Greenstreet appeared alongside Peter Lorre, rather studiously ignores the thorny problem of World War II, instead taking place between the wars. 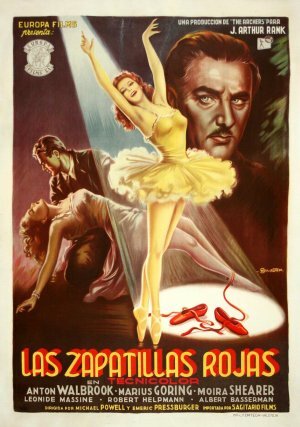 Based on an Eric Ambler novel, Mask is the tale of Cornelius Leydon (Lorre), a successful mystery writer, who is told by an ardent fan (and police chief) about Dimitrios Makropoulos, a monstrous international villain and occasional spy, whose murdered body washed up from the Bosphorus that morning. Intrigued by the possibility of writing about such a character, Leydon travels Europe, investigating Dimitrios’ former haunts and interviewing people inevitably screwed by this blackest of curs, and learning about the destroyed lives he left in his wake. 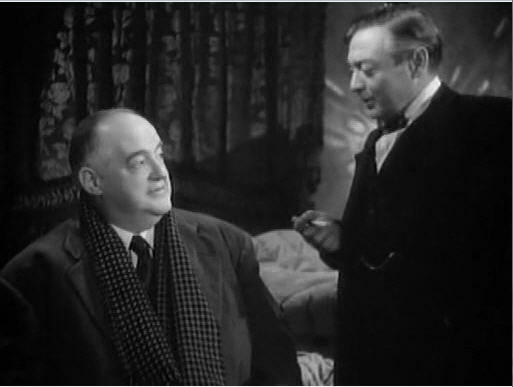 Eventually the equally shadowy Mr. Peters (Sidney Greenstreet), who has been tailing Leydon, makes himself known, and Leydon finds himself neck-deep in schemes and counter-schemes. The largest part of Dimitrios is told in flashback, as each interviewee details Dimitrios’ foulness in a number of arenas. 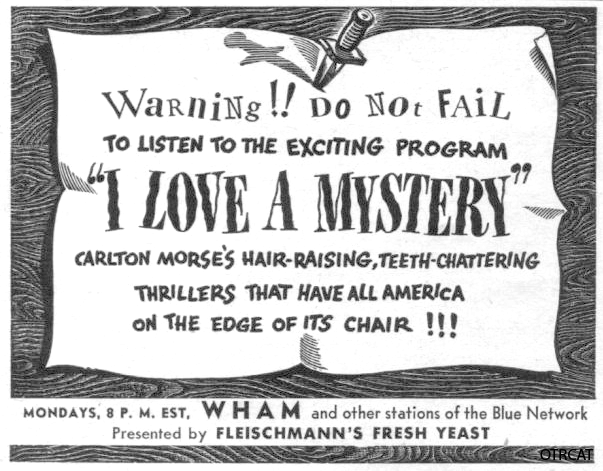 You’ve got the usual formidable array of Warner’s supporting cast with standout performances by Arthur Francen and Zachery Scott as Dimitrios, in his film debut. Scott holds his own against Lorre and Greenstreet, which is no small feat; the Texas-born actor went on to have, if not a flashy, star-making career, a steady one lasting up until his death in ’65… a true trouper in every sense of the word. Greenstreet provides his usual eloquent menace and Lorre is charming and affable. 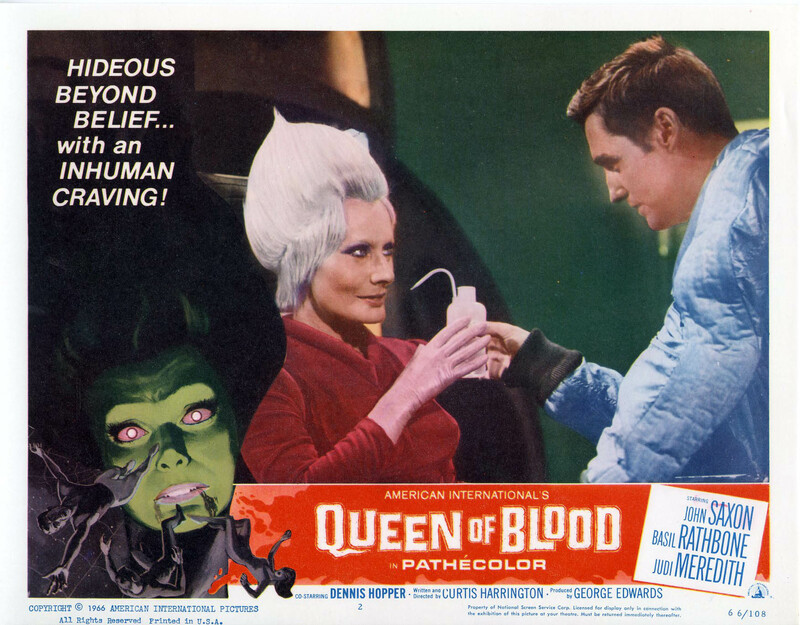 This is the sort of movie that Warner Brothers did so well, for so many years, and cheers to Warner Archive for dragging it back out into the sun. 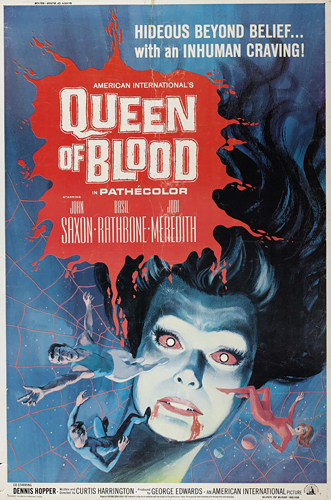 This one’s considered a classic of indie horror; it’s remarkable it’s taken me this long to see it. 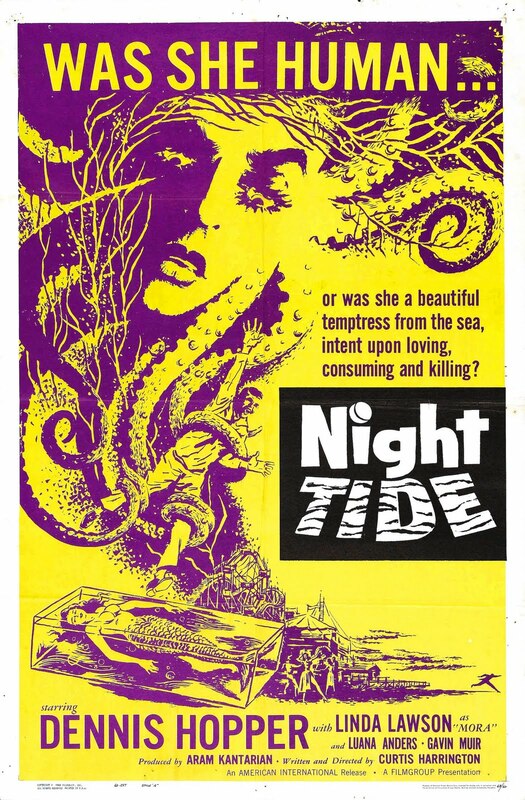 Young sailor Johnny Drake (Dennis Hopper), on leave in sunny California, meets and eventually falls in love with Mora (Linda Lawson), an enigmatic young lady who earns her living pretending to be a mermaid in an “amusement pier” attraction. Strange occurrences seem to indicate she might actually be some sort of legendary sea creature, doomed to eternally lure men to their death, especially when Johnny finds out his new love has had two boyfriends in recent months – both of which drowned. This is the shamefully under-rated Curtis Harrington’s first feature-length movie, and it makes bountiful use of existing locations at Santa Monica and Malibu. 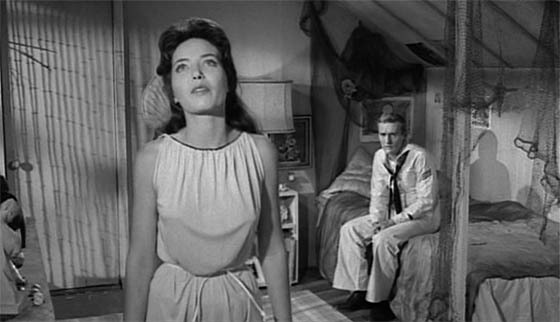 Dennis Hopper, who could rightfully be considered a veteran at this point, plays the guileless innocence of a young man who joined the Navy to see the world very well. Linda Lawson is the proper mixture of exotic and down-to-earth. 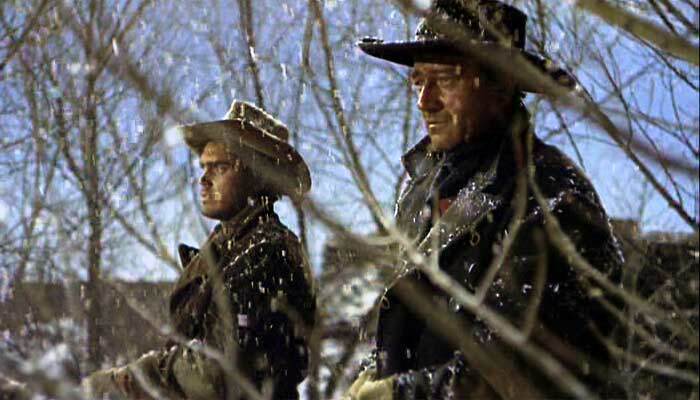 So much of the movie’s success rests on these two – Johnny is in almost literally every shot – that Harrington must have felt he hit the jackpot when he got them. Luana Anders is also on hand as a more normal girl interested in Johnny’s welfare, and acts as a winsome linchpin to the real world. Night Tide provides us with a Scooby-Doo ending in which everything is seemingly explained rationally, but is canny enough to make sure that some of it rings false, leaving the door open for speculation long after the movie has ended. For me, the most unexpected moment was when Johnny finally goes to a psychic who has been urging him to have a tarot reading… and it turned out to be one of the best such scenes I had ever witnessed in a movie, actually casting the cards not as an oracle, but a series of symbols allowing one to isolate and examine the tangled threads of life. 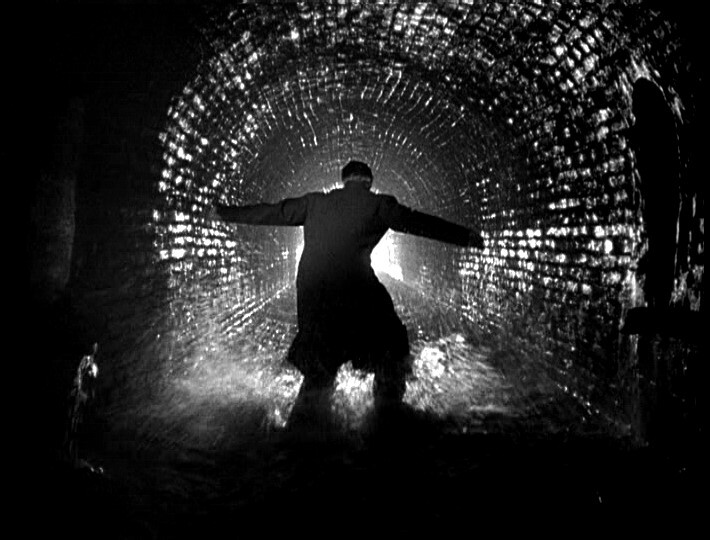 Hearing the Hanged Man put in proper context was almost as shocking as the movies’s pivotal moment when an apprehensive Johnny goes scuba-diving with the possibly murderous Mora. This was originally going to be On the Waterfront, but it was late at night and I didn’t feel like something that raw (there will be another Challenge later this year based on Roger Ebert’s Great Movies, and doubtless this Elia Kazan movie will get its return match). Several people had been talking up The Orphanage, I had gotten a copy from the SwapaDVD Club, so… here we go. Laura (Belen Rueda) comes back to the orphanage where she spent much of her childhood, intending to re-open it as a Home for Children with Special Needs. She and her husband (Fernando Cayo) are familiar with this; he’s not only a doctor, but their adopted son Simon (Roger Princep) has HIV. Before you can say “Don’t buy that spooky old mansion,” Simon is talking to, and about, his new invisible friends and things proceed to go south from there. And it did. And it continued to do so every time my interest began to wane. 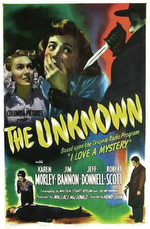 Simon vanishes after a hurtful fight with his mother and stays vanished through most of the movie. Unraveling the mystery of the orphanage’s haunting becomes instrumental in his recovery, and the central trauma causing it is so extraordinary, so horrific, it’s unreasonable the police seem to know nothing about it, but perhaps that’s my grumpy critical mindset over-ruminating on details. There’s a very nice paranormal research segment featuring Geraldine Chaplin as a medium, and I’ll always like a movie that approaches ghosthunting with a bit of respect, like Legend of Hell House and The Conjuring. Certainly more respect than it accords itself in a half-dozen “reality” TV shows that clogged the airways a few years back. So I’m glad I gave the movie its ultimatum and it listened. 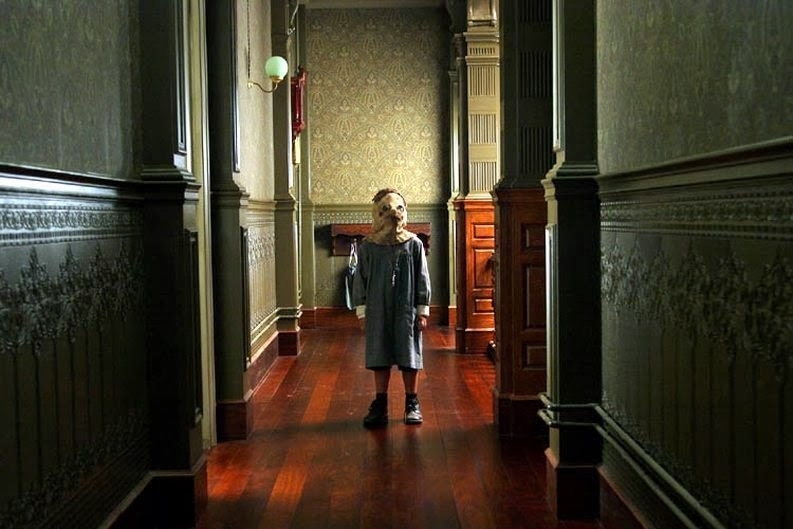 The Orphanage does draw you in and keep you off-kilter with tragedy after tragedy, until its unexpectedly bittersweet ending, with more of an emphasis on the bitter. Not the best ghost story I’ve seen, but a good one.